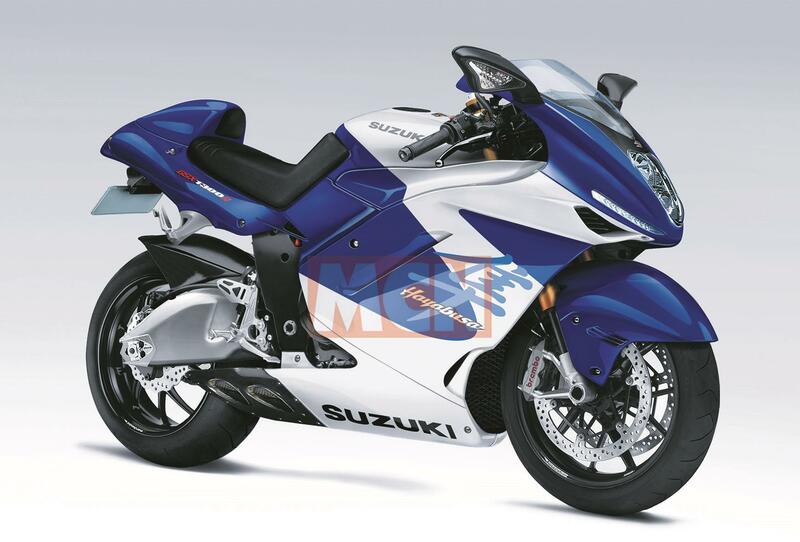 Suzuki plan semi-auto gearbox for next generation speed demon. Semi-automatic shifting thanks to a servo and lots of electronics. Patents show semi-auto shifting but more changes will be needed. If you look at Suzuki’s line up of bikes for 2018, you would be forgiven for saying they’re having a fallow year. With the exception of colour changes, the SV650X is their only real new bike and that’s just a dress up kit for the venerable twin. Back in Japan however, Suzuki engineers have been quietly working away on the next Hayabusa and new patents show a huge leap forward. Suzuki have been dropping big hints about the Hayabusa’s replacement for some years. Last updated in 2008, the bike’s fallen behind its sports-tourer rivals and production for Europe has had to cease. But now a new patent has emerged for a semi-automatic gearbox, suggesting Suzuki may take the Busa in an interesting new direction. The patent, which was released last week, shows an external semi- automatic gearshift mechanism bolted to the outside of a Hayabusa. 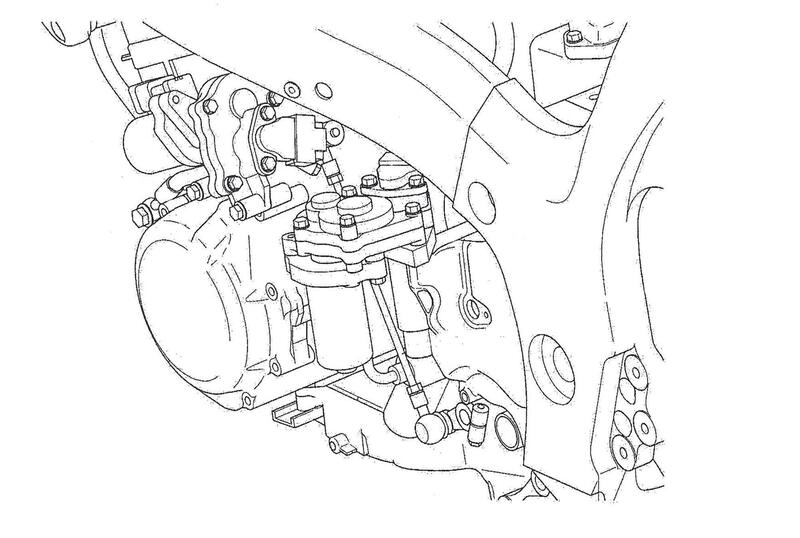 The mechanism in the patent uses an external sensor on the gear lever working in tandem with a servo to acuate the clutch, alongside another actuator to do the shifting. Unlike the DCT gearbox found on Hondas, this system is fitted externally and doesn’t require any changes to the innards of the engine. This means it could be an optional extra on new models, or could perhaps even be retrofitted by dealers. With the advent of quickshifters and autoblippers, you might be wondering what advantages this system offers. Looking at the patent, there seems no reason that it couldn’t operate in fully-automatic mode, which is where things get really interesting. Launch control isn’t impossible, so that when you pin the throttle from a standing start, a computer times each gearshift for maximum acceleration and power without any risk of missed shifts. Even if you have no intention of taking the bike to the strip, it’s could give the potential to blow away the competition when firing off from the lights. that it will grow to around 1400cc but to keep the power up (and in line with new emissions laws), it’s also assumed that it will be turbo-charged. Suzuki will be looking to steal the show from the other superbikes, so we’re expecting a genuine 200bhp in stock trim. It’s also expected that the new Hayabusa will get the more comprehensive electronics packages fitted to cur- rent superbikes such as a ride-by- wire throttle with rider modes, IMU-based traction control, anti-wheelie and cornering ABS. It will likely gain other modern tech such as a cruise control, a TFT-dash and smart phone connectivity. you only have to look at MotoGP bikes or the Kawasaki H2 to see that aerodynamics are about stability as well as speed. We’re expecting the new bike to change radically, without losing the essence of the design or putting off cur- rent owners. The current Busa doesn’t meet the Euro4 standards, so Suzuki have been selling the bike under derogation rules. Unfortunately, the grace period ends in January 2019, which means Suzuki will have to stop selling it. Even with that added time pressure, we’re not expecting the new Hayabusa to be unveiled until the 2019 Tokyo show. It will likely then go on sale in 2020, just in time for the new Euro5 standards. Until then, you’ll have to get your loopy speed fixes elsewhere. What will the Hayabusa need to succeed? To be competitive against the likes of Kawasaki’s H2SX it will need to be shorter and lighter. Suzuki now offer two levels of GSX-R1000, so both sporty and touring versions of the Busa make sense. be the key – as shown by their turbo Recursion concept. 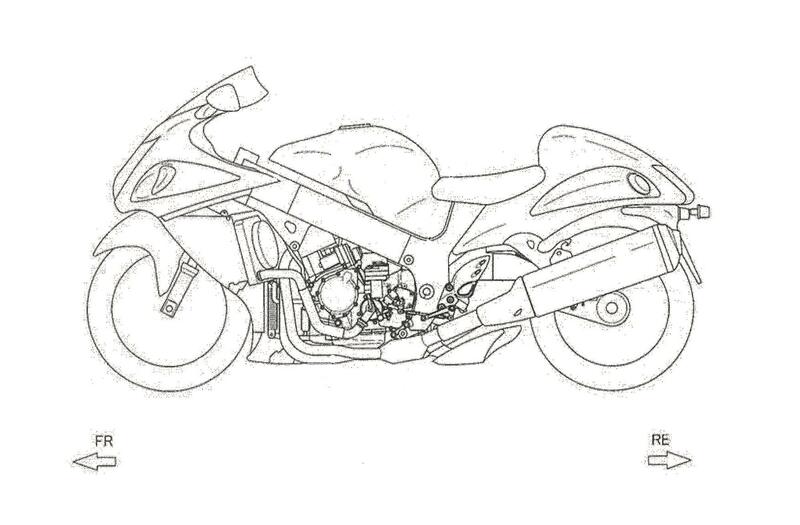 Suzuki won’t have developed their IMU and control systems for just the GSX-R1000, so expect the kit on the new Busa. Expect all the usual rider aids, the option of a push-button gearbox, launch control plus semi-active suspension. The Hayabusa’s bugbear, thanks to old technology. Expect Suzuki to carry on their Brembo relationship, combined with cutting-edge cornering ABS, such as on the GSX-R1000. A key to better braking performance will come from superior weight distribution. Both the GSX-R600 and the R750 face the same problem that the Hayabusa does – they’re not Euro4 approved and face the same January 2019 deadline. Unfortunately for supersports lovers, the outlook is not good. 765 and help reinvigorate the segment, however it’s very much up in the air. So don’t hold your breath, basically. Semi-automatic shifting thanks to a servo and lots of electronics. Patents show semi-auto shifting but more changes will be needed.